If you write articles online, you have probably tackled the issue of how to get traffic to your articles. Writers have found various ways to do this; either by being very savvy with marketing their work on social media and other avenues, including guest blogging and participation in forums, or you study keyword research. Keyword research is the avenue I've found to be effective in getting traffic to my articles. The basis of using keyword phrases for driving traffic is rooted in one sound piece of logic: No one will find your work if they are not looking for it. You have to know what people are looking for and how they are going about looking for it. You have to know what they are going to type into search. But that's only half of it. You craft the title that reflects what is being looked for, then you have to give people what they want and need. This means writing an article that is informative, detailed and easy to read. Otherwise, no one really wants to read it. It's not enough to find your article, they have to get something out of it. It should be noted that Google is getting good at finding out what your article is about. This has led to what is called Semantic Search; Google can figure out what is the basic thing people are looking for, the various meanings of keywords used to find something in their search engine, and matching it with what you've provided in your article. In other words, it's not just about the keywords you use but the gist of what you have written and what people are looking for; I have articles that get traffic because of this, because Google figured out what the article is about and what people were looking for and matched it up in the search results. You can go into the study of Latent Semantic Indexing and Semantic Search if you want, but I'm not going into it here; if you are thoroughly covering the subject matter in an article, these things will come out in the article. So, I have successfully used keyword tools to find keyword phrases for article titles that brought significant traffic to those articles. The most effective keyword tool I've used is Wordtracker's keyword tool. At the time I used it, it was being offered for free, for a limited number of keywords. I wrote about 18 articles using this keyword tool, with one of the articles getting about 500 views a day, two of them getting around 200 views a day, one gets around 40 views a day and 2 more get around 20 views a day, while others get steady traffic, though not as much as these others. I started using this tool in February and it is now September, and the numbers I just gave you represent the state of those articles after several months of being online; some of those articles took a couple months to get hundreds of views, others took longer. I suspect some of them are yet to see their full potential. Wordtracker's keyword tool is effective because it gives you exactly the keyword phrase you will need, and you don't have to do additional research to find out how to craft a title. It also gives you the level of competition for that phrase right there in the tool. You, of course, can do additional research concerning competition by Googling the keyword phrase and taking a look at the amount of competition there is and who the competition is by looking at search results. I've found that the amount of competition is less important. I've been successful with an article, in terms of traffic and position in search results, on keyword phrases that have a lot of competition; dozens of millions. However, who the competition is, is relevant. 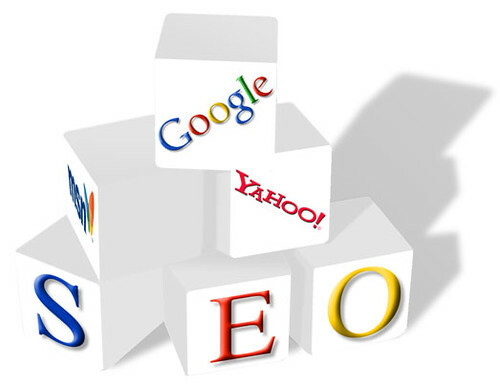 A higher ranking site that uses that keyword phrase is liable to have an advantage. Of course, it is also relevant whether other sites are answering the question of the keyword phrase adequately; if not, you could be the winner on the Google results pages. I also have used Google's Keyword Planner, with success, but less success than I've had with Wordtracker's tool. At any rate, I've still had more success with it than I've had when I haven't used researched keywords at all. On one article, I get around 50 views a day. It takes a little more work too, to use the Keyword Planner. It's not as straight-forward as Wordtracker's keyword tool. By free platforms, I mean platforms where you don't have to spend a lot of time writing and are free to use. Specifically, I've used Blogger. I stumbled on this method of finding effective keywords accidentally. On Blogger I kept a blog there just for fun. It was about subject matter I would play with and liked, so I wrote short posts on that blog with lots of pictures. Never monetized it, just had fun with it. Then I started noticing some of the posts got a lot of traffic. Seeing this, I capitalized on it and wrote full-fledged articles on the subjects that get a lot of traffic on a platform where I earn money for it. Same thing happened with Bubblews, back when it still received search engine traffic. I'd written a very short piece, for the fun of it, about some news item I'd read about online. All of a sudden, that piece was getting a lot of steady traffic. I did the same thing as I did with successful keywords from my Blogger blog; I used the keywords for an article on a site where I get paid. The reason I consider this an effective method is because Bubblews posts, back then, were only required to be about 4 lines of text; and you get paid for traffic to, and interactions with, the article; if you write a more in-depth article elsewhere that makes money, you couldn't lose. However, I no longer use Bubblews for this purpose because traffic is lower and so are the returns. When you start typing into Google Search, a drop down will appear that suggests keyword phrases. Also, at the bottom of the results page will be suggestions. It's wise, it seems, to study and possibly use these, because they are based in actual phrases people have used in search. Sign into Webmaster Tools (if you have an account). Go to the site where you want to find information about articles you've already written and keywords associated with them. On the left, click on Search Traffic. In the drop-down from there, click on Search Analytics. From there you will be brought to a page that shows you what keyword phrases bring up your article in search results, the position your article is at in search results for that query and how many people are clicking on the link to your article. This is useful for finding alternatives to your title's keyword phrase, so that you can write a new article from a different angle; in other words, it has to be a new subject or variation on the subject you originally used, that people are looking for. I have only recently started testing this method out, but it is said to be effective by well-established, successful writers. I run a few websites and my webhost provides statistics via Awstats. It's kind of cool because Awstats gives you information about what keyword phrases led to people finding your site and articles. I've written an article based on this information and plan on writing more. As I find the results of using this method, I will update here. In Google Analytics, on the left side go to Acquisition, then click "All Traffic" and then "Source/Medium". Along the top of the chart that shows traffic stats is a line that says, "Primary Dimension, and to the right of that is the word "Keyword"; click on "Keyword" and you will see what keywords were used to arrive on your site. It is also possible to find what keywords were used to find your article in Analytics if you use Real Time. Click on Real Time on Analytics. Go to Overview. On the left you will see a reading of Top Keywords. This is another possible way to find alternatives to keywords you've used. This is another method that I'm currently testing out but have yet to see any significant results. It stands to reason though, if you've made a sale for a certain product, via eBay or Amazon or some other affiliate, then you could write a whole article on the subject and make sales for that item. I've read that people use this method effectively. So, those are the methods for keyword research which I think are valuable, two of which I've used with success. I've found that a good amount of playing and experimenting can yield positive results and bring about some valuable findings. Therefore, you mainly have to look into it yourself and find out what works, though it never hurts to find out what works for others and learn from their experience. I think it is important to reiterate that the other half of the equation is to write well-detailed, informative and well-written articles. It's a waste of everyone's time if you just use keywords that you know will be found but don't give people what they need. No one is going to spend time on your page and Google is going to drop you down low in results or de-index you if your content is worthless. Just a fact. At any rate, keep up the good work and keep learning. Yeah, I subscribed to Wordtracker for awhile, it works great but I couldn't afford it for the time being. But these other techniques work too. Keyword Planner isn't all that great. Glad you liked the article. Hi Nate, this is a great article. I'm currently using another paid keyword tool. I've never been able to figure out the Keyword Planner.